Simple storytelling goes a long way. Oscar season is over, and yet people are still raving about this coming-of-age drama that also pulls a few laughs. Ellen Page shows extraordinary brilliance, a remarkable metamorphosis from Kitty Pride of the X-Men days. You will totally feel for Juno, from her pregnancy test all the way to her delivery, and you will also realize your concept of parenthood changing. Supporting Ellen Page in this film is Michael Cera of Superbad, once again playing his trademark soft-spoken character, but this time donning gold shorts. J.K. Simmons also shows a more subdued side, playing Juno's supportive father. Jason Bateman and Jennifer Garner, fresh from their team-up in The Kingdom, play the adoptive parents, Garner actually displaying brilliant acting as an expectant mother who will finally get what she wants. 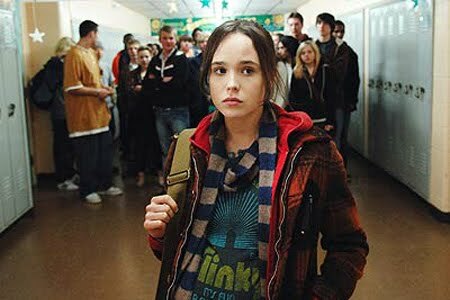 In fact, everyone's acting is subdued except Ellen Page, and this was probably intentional to let her fiery character stand out. And it does.